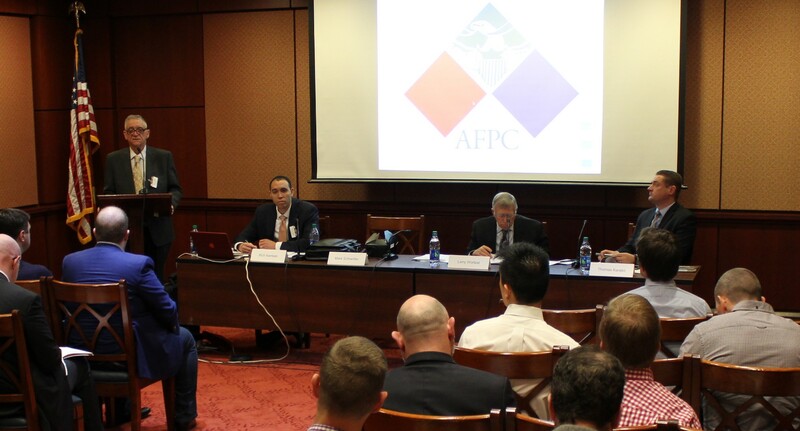 On March 29th, the American Foreign Policy Council (AFPC) sponsored a Capitol Hill briefing on Understanding Russia and China’s Newest Threat: Hypersonic Weapons and Implications for U.S. Security. The event focused specifically on the threats posed by Russian and Chinese hypersonic weapon programs, and the corresponding countermeasures now being developed by the United States. AFPC Vice President of Operations and Director of Defense Technology Programs Richard Harrison moderated the briefing, and panelists included Dr. Mark Schneider, Senior Analyst with the National Institute for Public Policy and former senior Pentagon official; AFPC Senior Fellow in Asian Security Dr. Larry M. Wortzel, former Chairman of the U.S.-China Security and Economic Review Commission; and Dr. Thomas Karako, Director of the Missile Defense Project at the Center for Strategic & International Studies (CSIS). While the United States continues to face a growing threat from ballistic missiles and weapons of mass destruction, the lack of a plan to contend with hypersonic weapons is truly problematic. After reaching full maturity, hypersonic missiles will be capable of delivering conventional or nuclear warheads anywhere on the globe with a flight time measured in mere minutes. Unlike more predictable ballistic trajectories, the exceptional maneuverability of these high-speed vehicles presents a major strategic challenge to which the U.S. does not currently have a solution. The Russian Federation currently has a strategic advantage over the United States and NATO, due to its major investments in hypersonic weapons technology. Contrary to recent claims that Russian hypersonic weapons are a response to America’s suspension of and withdrawal from the INF Treaty, the Kremlin’s development of these systems – including the Kinzhal, Tsirkon (Zircon), and Avangard – has been going on for many, many years. President Vladimir Putin has said that Russia already has one operational hypersonic missile with a range of over 2,000-km, and that a second with intercontinental range will be operational this year. Russian officials have been extremely vocal about the new capability to rapidly target and destroy the U.S. National Command Authority that is afforded by advanced hypersonic weaponry. This is because such systems have the ability to evade detection by U.S. early warning radars, and therefore interception by missile defense systems. Moreover, not only is Russia outperforming the U.S in terms of developing hypersonic weapons, it is also ahead in countering them—Russia claims that its new and soon to be operational S-500 missile/air defense system will itself be capable of intercepting hypersonic missiles. The Chinese government believes it already has enough intercontinental ballistic missiles to effectively deter the United States from nuclear war. China’s leadership assumes that if the country were to engage in a war with Taiwan or Japan, the U.S. would likely intervene, as outlined in the U.S. Treaty with Japan and the more ambiguously written Taiwan Relations Act. Fearing this potential intervention, China has developed hypersonic weapons (the Dong Feng 17 and XingKong, or Starry Sky 2) capable of reaching U.S. naval bases and even the West Coast of the continental United States. These newly developed hypersonic missiles can potentially penetrate U.S. ballistic missile defenses and possibly target and destroy an early warning radars and/or aircraft carriers in the event of a future conflict. Chinese military doctrine supposes that the PLA will send a swarm of missiles at once, so U.S. defense planners will have to develop interceptor systems that are capable of multiple simultaneous intercepts in response. Similar to Russia, China is also taking defensive measures to guard against hypersonic weapons with the creation of an “Underground Steel Great Wall” as a last line of defense. The U.S. government must shift more of its funding to defense programs focused on tracking and countering hypersonic missile attacks. One way in which the U.S. can try to close the gap that currently exists with its adversaries is to develop new space-based sensors in order to detect and defend against hypersonic weapons threats. Funding for space sensor work was moved from the Missile Defense Agency (MDA), the executive agent for the counter hypersonic mission, and reallocated to the Space Development Agency (SDA), which is not currently operational. Therefore, MDA teams dedicated to developing missile defense sensors are unable to do so, ultimately slowing down the progress of U.S. hypersonic weapons capabilities, including defenses against potential attacks. Such space sensors, however, would enable defense systems to track missile trajectories from launch to impact, a crucial function considering that we are currently unable to track hypersonic missiles in sufficient time to initiate defense measures. Unless the necessary funds are properly allocated, the U.S. will fall further behind its adversaries and be extremely vulnerable to hypersonic weapon attacks.